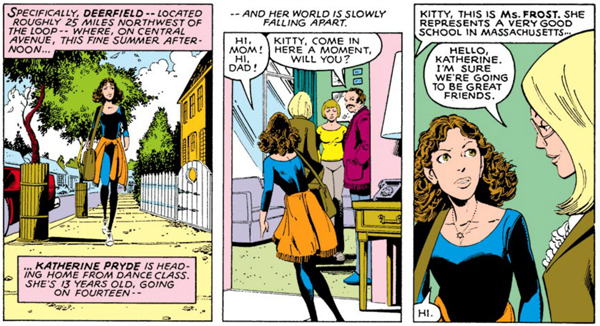 Kitty Pryde made her first appearance in the pages of Uncanny X-Men #129 and went on to win a permanent place in the hearts and minds of legions of fans - myself included. Kitty was created by John Byrne in 1978 who initially conceived of her as a member of an "X-Men-in-Training" team, a concept that ultimately manifested with the creation of the New Mutants in 1982. As all of the X-Men were adults at this point, it was a smart move to introduce a teenage member of the team with whom younger readers could relate. It was also important to bring back the concept Xavier's as a school, which had been such a fundamental element to the X-Men since the title's inception. 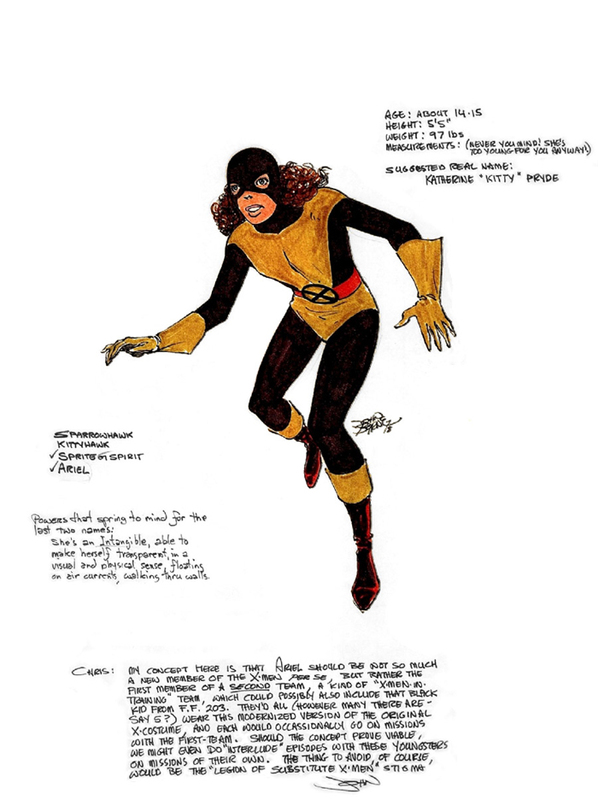 When I first started reading the X-Men with issue #167 in 1982, I loved the fact that there were characters my own age and I definitely feel like I grew up with Kitty Pryde and the New Mutants over the years.